Unfamiliar with this week's song. Hear it here. 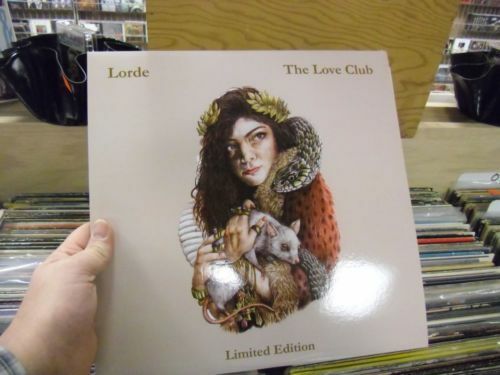 1) Lorde has said this song is about a time when she fell into "a bad crowd." Her high-maintenance new friends were all about their romantic dramas and it overwhelmed her. Have you ever had a friend who was just too much work? 2) She sings that she longs to be alone. Where do you go when you want peace and quiet? 3) Lorde credits her mother for encouraging her verbal skills. "Mum" let her join a theater class when she was just 5 and was always giving her books. Tell us about an encouraging, understanding adult who assisted you when you were growing up. 4) Lorde is not the only celebrity from her class at Belmont School in Auckland, New Zealand. Olympian Eliza McCartney was a classmate who went on to win a bronze medal in Rio for the pole vault. Did you participate in any sports in high school? 6) Lorde wrote music for one of the Hunger Games soundtracks. Have you seen any of the Hunger Games movies, or read any of the books? 7) Her favorite candy is Peanut M&Ms. Do you prefer Milk Chocolate, Peanut, Almond, Mint or Cripsy M&Ms? 8) When Lorde was on stage at Lollapalooza, a sudden storm interrupted her set. The music festival was evacuated and her performance was cancelled. Can you think of a time when the weather had a major impact on your plans? 9) Random question: Please complete this sentence -- Before I leave the house, I always __________________________. 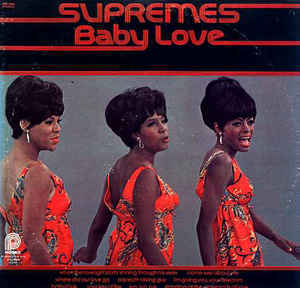 1) When this song was popular, the Supremes were known for their elaborate hairstyles, make up and full-length gowns. When was the last time you got dressed up? 2) "The girls," as they were known to the engineers and executives at Motown Records, were Florence Ballard, Mary Wilson and Diana Ross. They began singing together when they were high school classmates. Are you still in touch with any friends from your high school days? 3) Mary Wilson was born in Mississippi and her family moved a great deal before settling in Detroit, where she fatefully met Florence and Diana. Were you uprooted often when you were a child? Or did you spend your school years in the same neighborhood? 4) The Supremes began as a quartet called the Primettes. In addition to Mary, Flo and Diana, there was Betty McGlown. In 1960, Betty left the group to get married and was replaced by Barbara Martin. In 1962, Barbara left the group to have a baby. They quit trying to replace the fourth voice, soldiered on as a trio, and made pop history. Have you ever found yourself in a position similar to Betty's or Barbara's, where you had to make a difficult decision and choose between your personal life and your career? 5) Thinking of babies and "baby love," is anyone in your life expecting a baby in 2018? 6) With twelve #1 hits on the Billboard Hot 100, The Supremes remain America's most commercially successfully recording group, and this song (along with "Stop! In the Name of Love") is one of the most popular karaoke songs. If we handed you the mic this morning and absolutely insisted you perform, what song would you choose (any song, any genre)? 7) Original group member Florence Ballard left the group in 1967. She died of cardiac arrest in 1976 at the age of 32. Since February is National Heart Month, it seems appropriate to ask: Is anyone in your life battling heart disease? 8) Florence Ballard's brother, Hank, wrote Chubby Checker's famous dance song, "The Twist." When did you last dance? 9) Random question: Close your eyes and visualize the most beautiful place you've ever been. Now describe it to us. 2) She asks him to not change his hair. When will you next find yourself in the stylist's chair? 3) Ms. Kitt always wanted to be a performer and attended the New York School of Performing Arts (aka the "Fame" school). Think back to your high school self. In what ways would you be surprised by how your life turned out? 4) Ms. Kitt took over the role of Catwoman on TV's Batman. Name another Batman villain. 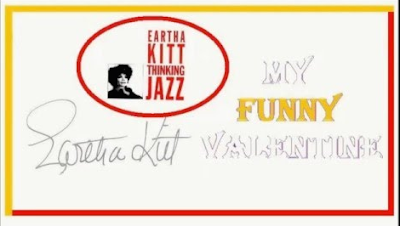 5) Ms. Kitt enjoyed tremendous success performing in Parisian nightclubs. Have you ever been to Paris? This is the last Saturday 9 before Valentine's Day and so this morning we shall focus on the upcoming holiday. 6) The holiday is also known as The Feast of St. Valentine. Do you have a special meal planned for next Wednesday? 7) The phrase "wear your heart on your sleeve" began in medieval times. On Valentine's Day, men would celebrate the holiday by displaying their lady love's name on their sleeves. If you were going to adopt this custom, whose name would you wear? 8) Women buy and send more Valentines than men do. What's the last greeting card you received? 9) Men buy and send more roses at Valentine's Day than women do. What's your favorite flower? 1) Jimmy Buffett is singing about his bandmates watching hockey in a sports bar. Since it's Super Bowl weekend, our first question is: In cold weather, which sport to you watch most: football, hockey, or basketball? 2) Jimmy sings it's just 20º outside. How high will the mercury reach where you are today? 3) "Boat drinks" are mixed drinks designed to enhance the enjoyment of a boat ride or time on the beach. 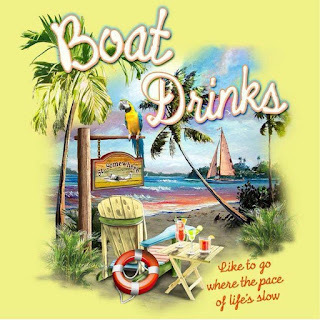 Popular boat drinks include The Tequila Sunrise, Cuba Libre, and Mimosa. When did you last sip an alcoholic beverage? Was it a boat drink? 4) Jimmy met his wife, Jane, in Key West at a bar called The Chart Room. Have you ever been to Key West? 5) Have you ever met anyone worth knowing at a bar? 6) While Keith Richard and Paul McCartney have made cameo appearances in the Pirates of the Caribbean movies, Jimmy Buffet has not. Producers have asked him, but he's always had to decline because of his touring schedule. Have you seen any of the Pirates/Jack Sparrow movies? 7) When Jimmy gave the commencement address at the University of Miami, he showed up in flip-flops. How many pairs of flip-flops do you own? 8) Jimmy has his own station on Sirius Radio. Do you subscribe to Sirius? 9) Random question: What trend or fad from your youth do you hope never makes a comeback?